Prior to joining ABS, Jim was Senior Vice President at Aerojet Rocketdyne, Inc. where he was responsible for corporate strategy and business development. Previously Jim spent 35 years at Boeing in various leadership positions including President of Commercial Satellite Systems and Vice President of Strategy and Business Development for Network and Space Systems. Jim holds B.S. and M.S. degrees from the University of California, Los Angeles, an M.B.A. from the University of Southern California and a graduate certificate in Program Management from California Institute of Technology. Jim, where is ABS positioned at this time in the company’s development? ABS is one of the fastest growing global operators in the world. We have a fully revamped ABS management team with significant experience from industry operators with impressive track records of success. We have also promoted from within critical senior executives. The objective of the new team is to create an executable plan based on current and projected market conditions. Specifically, the plan institutes our new sales approach to capacity, restructures and executes the DTH platform business, develops new revenue streams through expansion of existing satellite services and other new service offerings, and improves the operational efficiency of the business. What are the growth areas of for ABS? In regard to sales, we have been very successful in our ramp-up of utilization of our new 2A and 3A satellites; however, for future growth, we need to move our capacity more from a “commodity” to a differentiated product. In order to do this, we are incorporating various tiers of capacity as a function of interference, region, duration of use, quantity, frequency, etc. From that, we will be developing variations in pricing of the capacity. We still plan on being one of the most cost-effective leaders, but there will be different price levels reflecting the value of the capacity. In addition to differentiation, we plan on growing our capacity utilization with the U.S. government (USG), other governments and as a commercial supplier to USG direct capacity providers. 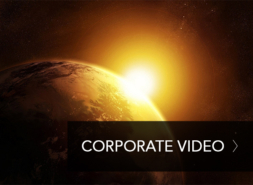 At one time, the USG business represented 40 percent of our business and, over time, this has somewhat diminished as the company focused on diversification into video and other areas. This is now a priority for us to re-focus on this important market sector. As with every slot in the GEO Clarke Belt, there is significant coordination with neighboring satellites and compromises have to be made by all sides to coexist. Some capacity is limited in its uses, and we have to be focused on how to use the capacity and improve satellite utilization. We recently had a commercial launch of the AGILASAT services with our partner Solar in March and now have more than 500,000 subscribers in the first two months. Although this is encouraging, these businesses take time to mature and this segment of our business is focused on being able to develop future growth over the next three to five years. Jim, What do you see as drivers and trends that would impact the industry in the next decade? Our focus is on the evolving environment and how does ABS play a role with the advent of 5G, OTT, and High Throughput Satellites (HTS), since we do not currently have HTS. A broad range of applications benefit from incorporating satellite technology as a delivery mechanism, including: broadcast-like services; broadband access everywhere; higher user mobility; massive IoT; lifeline communications; ultra-reliable communications; and broadband access in dense areas. Provide capacity to and partner with managed satellite service providers who are highly focused in this market for government, geological, maritime and other applications. Manage the operations or provide support for third party satellite operators through our extensive family of teleports throughout the world. We have 16 teleports, more than most other satellite operators, and our objective is to evolve these more and more from a “cost center” to an ancillary business for us. What do you believe are the main opportunities or markets for the company? An additional key area for ABS is the creation of partnerships with other service providers, satellite manufacturers and others to expand the business by utilization of our 15 slots that do not presently have satellites assigned to them. Unfortunately, we do not have infinite resources, and through partnerships, we are able to facilitate accelerated maturation of the slots, thereby enabling revenue more rapidly than a completely organic internal approach. We are also looking to take advantage of some of the key new cubesat/ micro/mini GEO and small satellite digital payload technologies (virtually, a soft satellite that can be configured/re-configured on orbit for various market needs). Such should substantially reduce the time to market and the economics through a “buy by the yard” (customized packages) approach, in which the smaller satellites can be largely filled by committed customers prior to launch, and with shorter build times. This results in much less time to become creative and changes the economics — if the slots become more popular, the company can build up through additional smallsats or a larger one, if warranted. Alternatively, we halt the development of additional capacity if the slot revenues do not materialize. This approach reduces risk and minimizes capital outlays. Our ABS satellites offer global reach, extremely high efficiency in distributing large volume of content and data, and synchronized delivery to provide these services. We see 5G as a positive for ABS. However, some of our regions do not have the terrestrial infrastructure available and there will be issues expanding terrestrial footprints that are difficult to overcome easily. The correlation for our fleet is that we cover much of the developing world, where fiber infrastructure may never reach customers or, at least, not be available for the foreseeable future. We also cover Asia where the terrain may not allow the fiber or other terrestrial infrastructure to be built out and, in some countries, there simply is not enough population that would allow investment to make revenue sense. Satellite makes it easier and more cost effective to bring the large amounts of data wherever a cell site could be located. This is really the cell backhaul and cell extension services that satellite is in today but the large amount of data that 5G will enable on the ground will need satellite to augment terrestrial infrastructure. In the future, ABS will expand more into HTS — currently data is less than 50 percent of our business. Video, which is the majority of our business, is less impacted by HTS, as the value of HTS is not in video. In regard to the data region of our efforts, there are business factors that are maintaining the pricing that are similar to the price points we are currently providing. This is potentially a transient effect. For the interim, until we do incorporate HTS, the impact is to a large extent mitigated. Moreover, the verdict on the success of the HTS is not available as of this writing, as the introduction of the HTS capacity by some operators did cannibalize some of their traditional wide beam revenues. 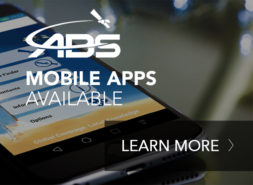 ABS is excited about the future of the company, which is preparing and executing plans to be a leader and important contributor in the satellite communications business for a long time to come.